Beginning in the 2015.16 Antarctic travel season, Quark Expeditions passengers can participate in a fun, exhilarating new adventure: Stand-up Paddleboarding (also known as SUP). Popular in warmer climes, we're offering this combination of surfing and canoeing or kayaking in the Antarctic, to give visitors a unique perspective on the pristine, untouched land and waterscape. Even though the watersport started in Hawaii, it's not limited to tropical areas. one of the world's best places to go stand-up paddleboarding! Imagine penguins and seals swimming by beneath you as you glide easily around floating ice, with majestic views of sprawling glaciers and icebergs. On these small but study boards, powered by your own momentum, you can truly become one with the Antarctic in the most eco-friendly way. Led by an experienced guide and equipped with a paddle, you'll set out in small groups aboard high quality, lightweight stand-up paddleboards. As with all of our optional adventure activities, we only head out in good weather, on calm bays and in harbours. Your safety is our top priority, regardless of the activity. Stand-up paddleboarding is a great activity for people of all fitness levels. The level of physical exertion can be low, though you can burn calories and get a full-body workout, depending on your speed. Remember to bring a waterproof camera (see our post about polar photography equipment for tips) to capture amazing photos from this special vantage point, where you're almost walking on water! One of the main benefits of stand-up paddleboarding is that you’ll have a different vantage point from that of sitting in a canoe or kayak and be better able to see what’s in the water around you. You might find it easier to kneel on the board at first, until you get your balance. That's okay! Keep your hands on either side of the board as you stand, to stabilize it. Keep your feet parallel, centered, just aft of the centre point and about hip-width apart as you paddle. Point your toes forward, bend slightly at the knees, and keep your back straight for good balance. It might be instinctual, but try to avoid staring at your feet. They're still there, we promise! Instead, try to keep your gaze on the horizon or the epic Antarctic sights around you. Don't worry about falling – it happens all the time. 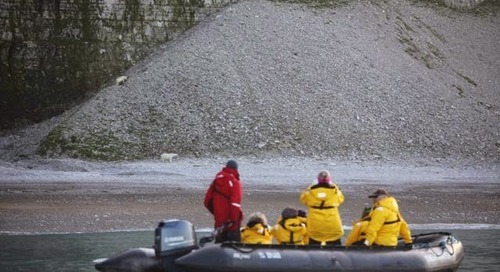 You'll be wearing a dry suit and a personal flotation device, and our experienced guide will help you get going again. 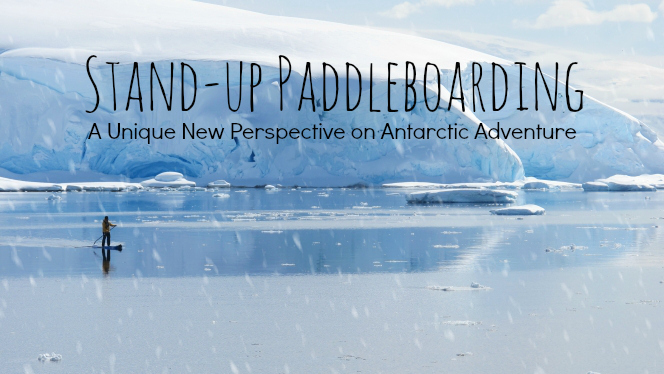 Stand-up paddleboarding is available as an adventure option for Quark Expeditions passengers on select Antarctica voyages aboard the Ocean Endeavour in the 2015.16 season. 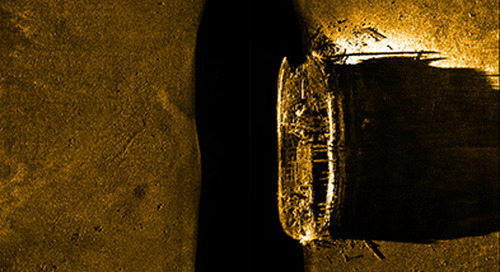 Quark will be piloting the program on select voyages during the 2014.15 Antarctic season. Space is limited and we can take reservations for 10 paddleboarders at the time of booking. Other paddleboarding opportunities may be offered on a first-come, first-served basis on-board the ship. Contact our Polar Travel Advisers to learn more about stand-up paddleboarding and other unique adventure opportunities available this season.